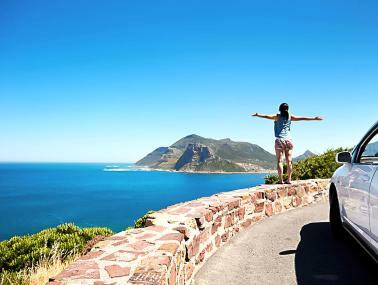 See the best of the Cape Peninsula and the Winelands on an entertaining, day long highlights tour. This area is renowned internationally for its spectacular natural scenery. Craggy mountain peaks contrast with endless ocean vista’s and lush green valleys. No matter where you travel in the Cape there are historical and modern sites and fabulous activities. 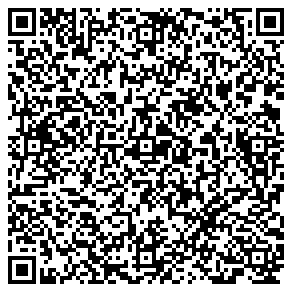 On this tour we will journey to the edge of Africa and then explore the heart of the mountainous Cape Winelands. This day tour will leave from the Cape Town City Bowl at around 08h00. World renowned for its spectacular scenery, friendly people and temperate climate, Cape Town is found in a natural amphitheatre and surrounded by Table Mountain, Lion’s Head and Signal Hill. The city has a long history as a place of refuge for passing ships and still functions as a working harbour. Every part of the city has its own unique feeling and it’s this kind of diversity that makes South Africa so special. The Cape Dutch Settlers first came to this area in the 1600’s and their legacy can still be seen in local architecture and culture. The road out of town curves through Sea Point, a historic suburb that was segregated as a white-only area during Apartheid. Today, popular common areas like the Sea Point promenade are prominent symbols of the unity that country has achieved. Fantastic Coastal Views as you Cruise past prime real estate with glorious coastal views. As Sea Point ends Clifton begins; an area home to some of the most expensive real estate in the country. On the right of the road you should be able to see some of Clifton’s pure-white sand beaches, which are well loved by sun worshippers everywhere and enjoy a position sheltered from the brisk south-easterly wind. Before Clifton became one of the most desired stretches in the country it was used to house returning World War 1 soldiers. They were awarded small plots between Clifton’s Fourth and Second beaches and built bungalows out of the packing cases used to transport motor cars in the 1920’s and 30’s. Some of these small, cliff-side plots still have to be accessed using private elevators. 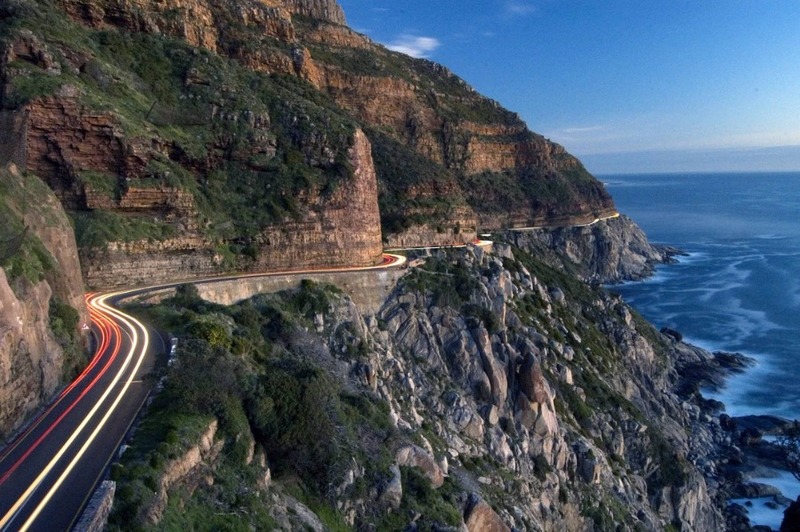 This road closely follows the coastline as it curves round to Hout Bay. Named in honour of Queen Victoria’s jubilee in 1888, it is overlooked by the famous Twelve Apostles on one side and travellers can enjoy fantastic views of the Atlantic Ocean as it stretches out to horizon. 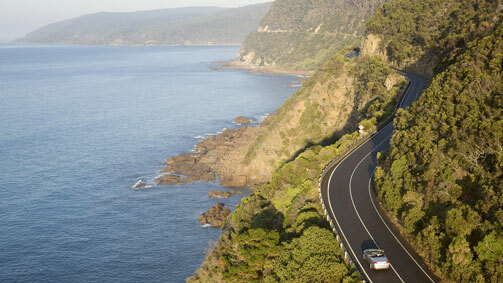 This route is a favourite drive for many visitors and locals. 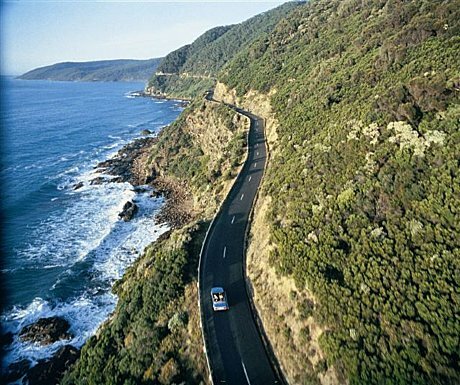 The coastal road was planned by Thomas Bain, a famous road engineer who is responsible for many of South Africa’s most beautiful mountain passes. A true renaissance man, he had a keen interest in natural history, geology, archaeology and palaeontology. We pass through Hout Bay (Wood Bay from the Afrikaans), a charming little hamlet protected on three sides by mountains and providing a calm bay for a thriving local fishing community. This area used to be heavily forested and it provided the perfect base when Dutch settlers needed huge quantities of timber in the 1600’s. It is now beloved as a holiday and residential town and has been enticing people for many years with its’ rural, idyllic charm. Our tour now reaches the very tip of the Cape Peninsula, and the entire African continent. Located in a 17 750 hectare nature reserve, you can look out over the endless ocean from the Cape Point Lighthouse. The reserve showcases the spectacular natural diversity of this region. As you make your way to the Cape Point Lighthouse keep your eyes peeled for baboons, rhebok, Cape Mountain zebra, bontebok, eland and over 250 species of birds. The reserve is also one of worlds’ largest breeding grounds for tortoises. You can soak up this spectacular setting and truly feel like you are on the edge of the world. You may also feel the touch of the brisk wind known as the “Cape Doctor”; famed for its rumoured curative powers. 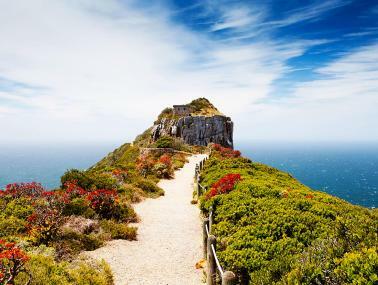 After you have had your fill of Cape Point, the tour will continue as we travel up the other side of the Cape Peninsula to the heart of the Cape Winelands. You might be able to see all the way to the other side of False Bay on a clear day. 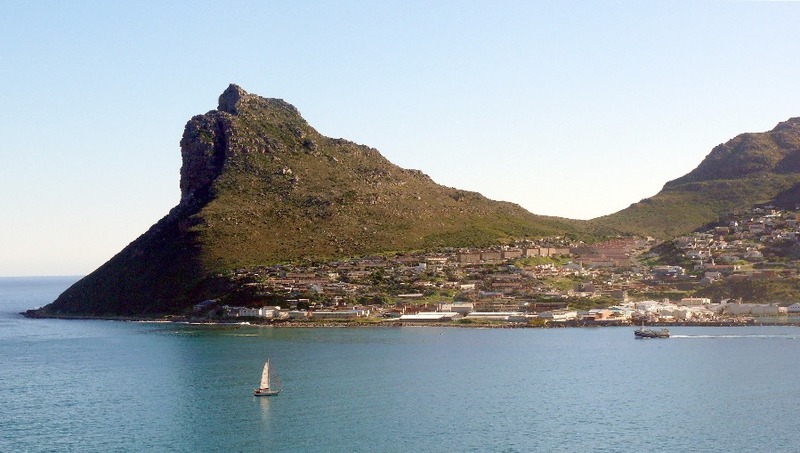 As we travel around False Bay we will drive past the picturesque villages of Simon’s Town, Fish Hoek and Muizenberg. Simon’s Town has been an important naval base and harbour for over two centuries and you can still see some historic naval vessels anchored just off-shore. 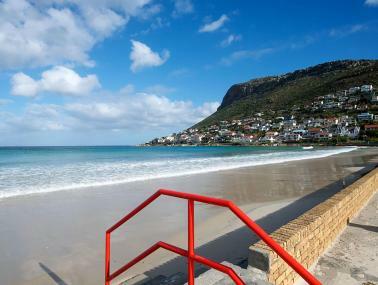 There has been a settlement at Fish Hoek for almost as long as there has been recorded history in this area. Muizenberg is another seaside town where the warmer waters and long stretch of beach makes it a popular spot for holidaymakers. We then turn inland on our way into the lush Cape Winelands. We now arrive in Stellenbosch, which has the distinction of being the second oldest town in South Africa. The village is an architectural gem with an elegant mix of 18-century Cape Dutch, Georgian and Victorian buildings. Stellenbosch is named after its’ founder Cape Governor Simon Van der Stel and the town has enjoyed a distinctive history as the heart of the Cape Wine region. The town traces its origins back to 1679 when Van der Stel established it on the banks of the imaginatively named Eerste (First) River. It was soon noticed by the settlers that the fertile soils, dry summers and wet winters made the area perfect for viticulture. Today, South Africa wines are recognised globally for their excellence and variety. As the heart of the Winelands, Stellenbosch abounds with top class estates producing excellent wines. 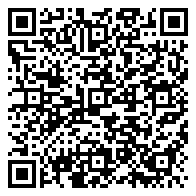 After the fascinating tour of town we will proceed to our next stop where you can sample a selection of top wines. Flavour charts and guidance from estate wine experts will help you make the most of this tasting opportunity. At the end of a day filled with spectacular sights and fascinating insights into the region we make our way back to Cape Town. As the sun begins to set in the distance you can reflect back on the great memories you have made today.